It’s a special Back to School Triple Play offer for our CyberLife Tutors readers. Get all three career boosters for one low price. 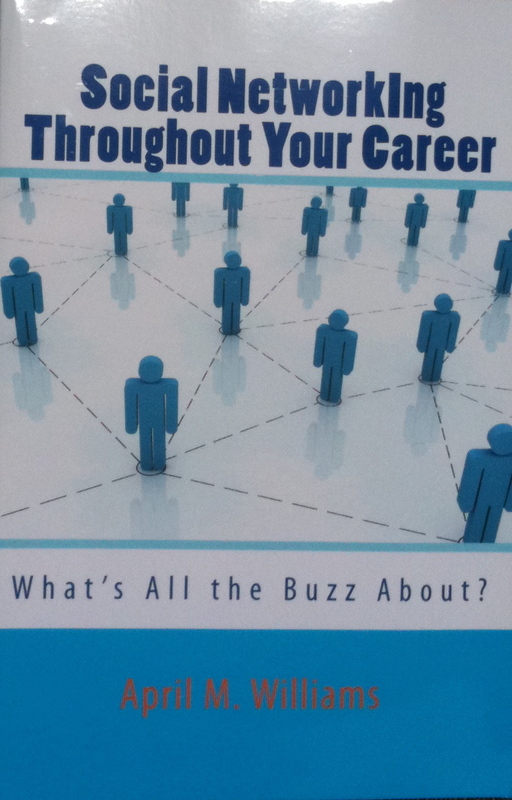 Autographed copy of “Social Networking Throughout Your Career” paperback by April M. Williams $9.99 value. Learn how to make the most of social media tools for your professional life and take charge of your career. “Networking for Results” 51 minute DVD with April M. Williams recorded live at the North Suburban Career and Networking Center Northbrook $9.99 value. See how to use networking to get the results you what when looking for a new job. Bonus 1 hour webinar “Leverage LinkedIn: Don’t be Linked Out” hosted by Loyola University and presented by April M. Williams $19.99 value. 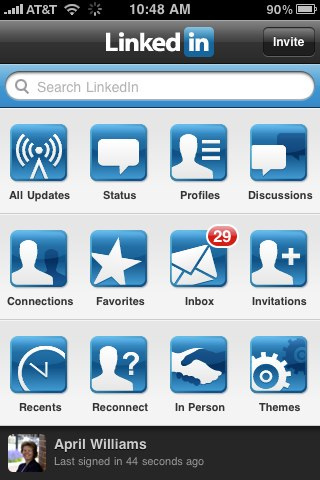 LinkedIn is a recruiters first tool for finding job candidates. Whether you are currently looking for employment or not, it is important to have a LinkedIn profile. In this webinar session, April M. Williams of CyberLife Tutors demonstrates the benefits of using Linkedin for professional networking. Topics covered include basic account types, creating your profile, getting connected, and joining groups. We will cover researching companies and applying for jobs using LinkedIn tools. At checkout you will be directed to the site to view. Learn how to really use LinkedIn as a job seekers tool and land your dream job. Special back to school pricing all three for just $17.99! Limited time only. Click below to buy now. Pinterest is a content sharing service where members “pin” images, videos and other objects to their pinboards. Pinterest also has standard social networking features so you can share with your friends. Learn how to set up your Pinterest account. Once you have an account, you can pin your cool finds on the internet. Many interested patrons attended my Pinterest session at the Algonquin Library. For more information on upcoming sessions, visit our events calendar. Here are 8 top Pinterest tips for beginners to get you started. Create unique Pinterest boards for each of your favorite topics. Pin photos and videos about that topic to create a collection. Select a cover image that represents the theme of your Pinterest board. Our minds grasp visual concepts faster than text on a page. Be sure readers can tell at a glance what your board is all about. Pin clear, easily recognized images for your Pinterest boards. Bright colors and high contrast images are easier on our eyes. Describe your images and videos accurately without complex words. Pinterest allows up to 500 characters in the object’s description. Include words that invoke emotions and feelings in the reader. Choose colorful terms which inspire the imagination and memories. Increase your search engine visibility by using keywords and internet links in your description. Keywords may actually be a phase or group of 2-5 words. Post links to your Pinterest pins on your Facebook or Twitter accounts to share them with your friends. Ask others to LIKE and COMMENT on your pins and SHARE your pins with their friends. Design a unique visual resume and pin to your Pinerest board. Log on to Pinterest and search “resume” to see some incredibly creative ideas others have showcased their talents and skills. Using these 8 top Pinterest tips for beginners to create your first Pinterest boards and pin your favorite pictures, movies and more. Click on COMMENTS and post a link to one of your favorite boards. Please tell us why this Pinterest board is your top pick. Pinterest virtual bulletin boards are all the rage in the social media world. Pinterest lets you organize and share all the beautiful things you find on the web. People use pinboards to plan Learn how you can use Pinterest to market your business and gain attention. The Algonquin Library hosts a Pinterest session Sunday August 12, 2012 where you can learn what Pinterest is and what it can do for your business. For more information or registration visit our CyberLife Tutors events calendar. Below is a Pinterest Marketing Cheat Sheet from Pinely to give you a few ideas before the live session.